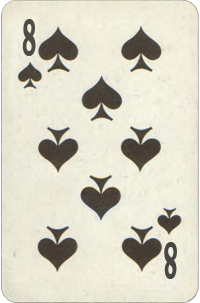 Eight Of Spades In Mars. Destiny Cards Free Reading. Eight Of Spades Basic Meaning: Physical and will power. More power in work and health. Focusing of will and concentration on objectives.